A man was left with a stab wound and a broken arm after he was assaulted in a Northamptonshire street. At some point between 8.30pm and 8.45pm on Sunday, March 27, the 29-year-old victim was walking along Tresham Street, Kettering, when he was attacked by two men. 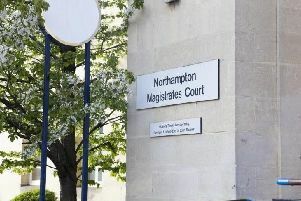 It is believed the offenders used weapons in the assault, which left the victim with a broken arm and minor stab wound. The only description of the offenders is that they were two black men who made off in the direction of Montagu Street. Officers investigating the incident would like to speak to anyone who may have witnessed this incident or who may have any information regarding it. They are also asking anyone with private CCTV cameras in Tresham Street to see if they have recorded any footage which may be of use.